Today is our First Reveal day for our May Release and we are featuring the new Happy Little Thoughts stamp set & Coordinating Die Set. We are giving the stamp set away to one lucky winner so make sure you read all the way to the bottom of this post to see how to win! 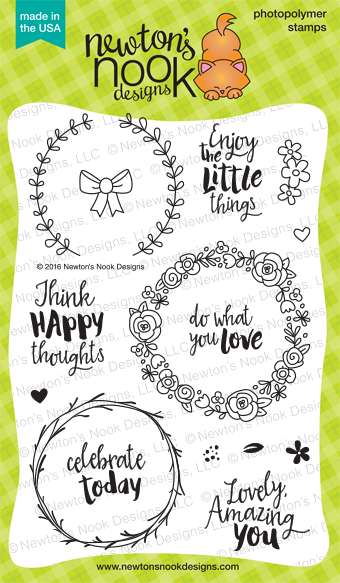 Our Happy Little Thoughts stamp set is all about celebrating the little things! 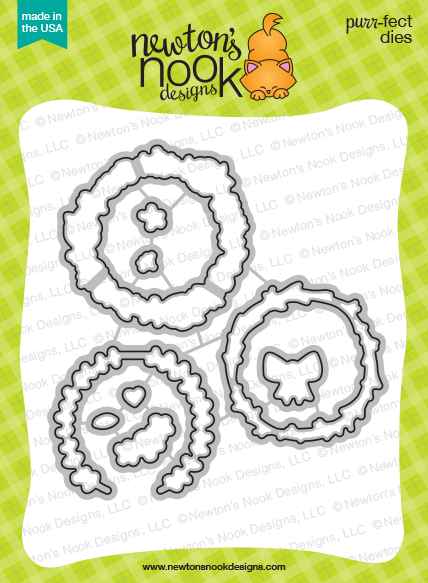 This awesome 4 x 6 Stamp set has three fun wreath images that you can dress up with the extra little hearts and flowers. Then choose your favorite inspirational sentiment and stamp it inside the wreath to brighten someone's day. All the sentiments fit inside all the wreath images so you can mix and match them all. Plus, we designed this set with both flowers and plain branches so you can use it all year long; just pick a seasonal color theme to switch it up! You'll be amazed by the fun inspiration from our Design Team & Guest! Check out all the awesome projects below from our Design Team & Guest Designer below - Then, make sure to click through to all their blogs for details on their cards - Some of the designers have extra cards on the blogs and you might even find a fun video or two along the way! Make sure to comment for a chance to win! Details on the giveaway are at the bottom of today's post. 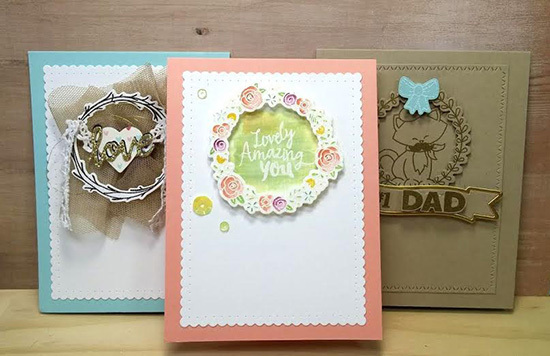 Our guest Designer, Naki created a trio of amazing cards using our new wreath images! I love how she combined them with other stamp sets! Check out her blog today for more details! 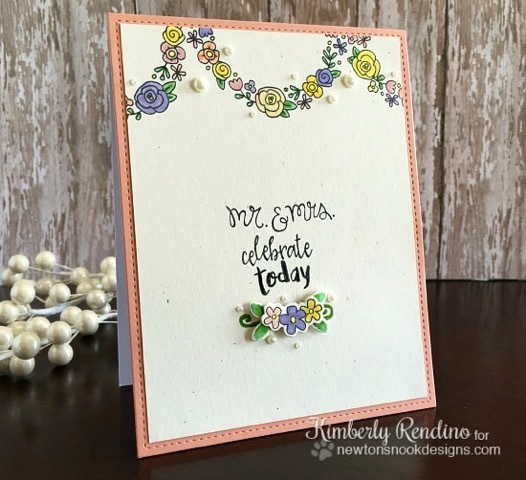 Kimberly created this elegant wedding card by using the floral wreath to create a garland border! She added in the "mr. & mrs." from our Years of Cheers which goes perfectly with the "celebrate today" from the new Happy Little Thoughts set! 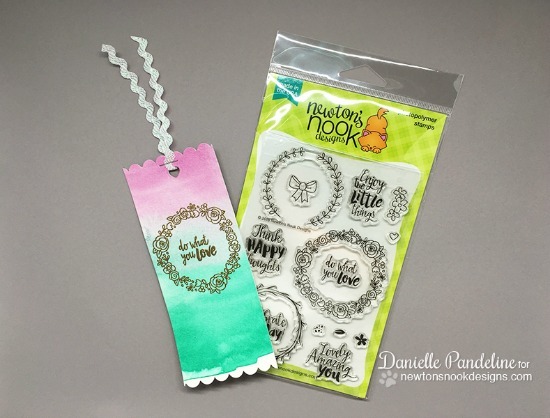 Danielle created a fun water colored bookmark using the new stamps! I love the pink to teal ombré effect and the gold embossing! So fun! 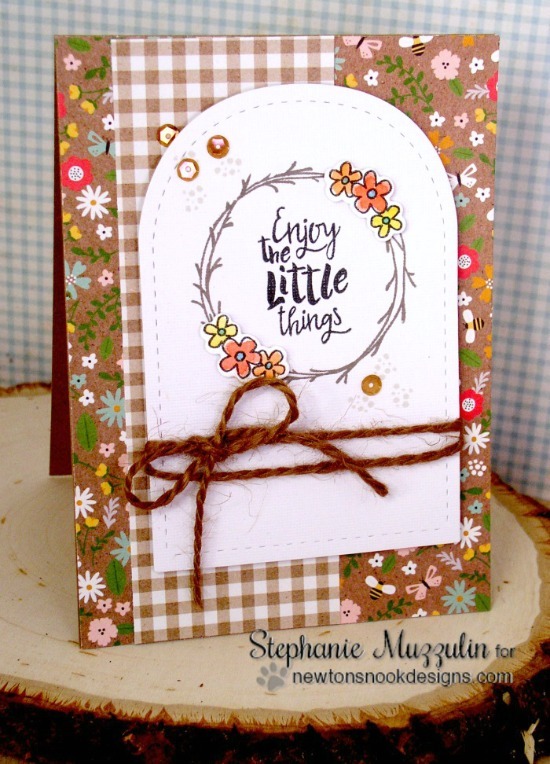 Such a sweet wreath card by Stephanie! I love the fun pattern papers and how she combined the twiggy wreath with some of the little flowers! The added twine gives the card a perfect rustic finishing touch! 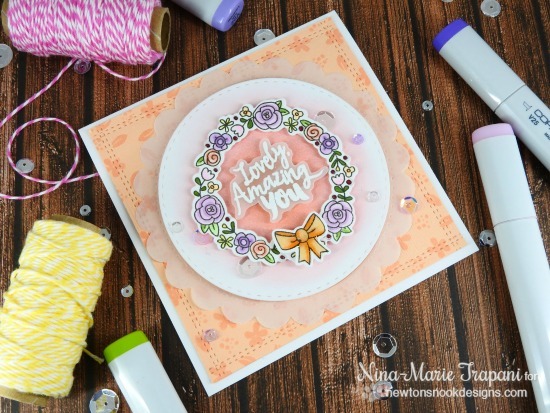 This fun square card is by Nina-Marie! She used the floral wreath image and added on the cute bow too! 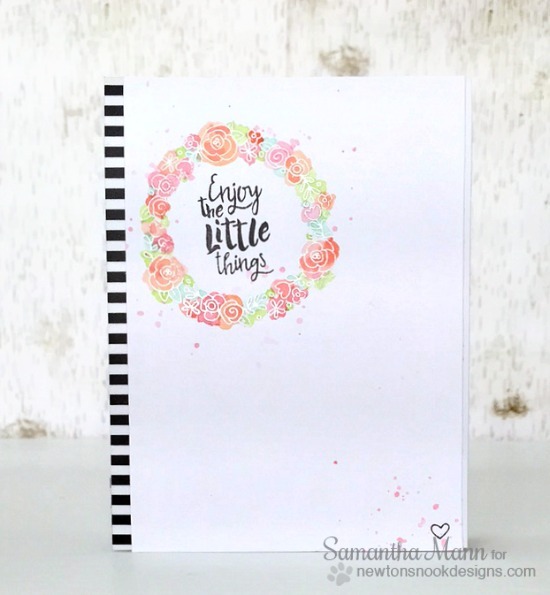 I love how she added the sentiment in the center, embossed on white with vellum! 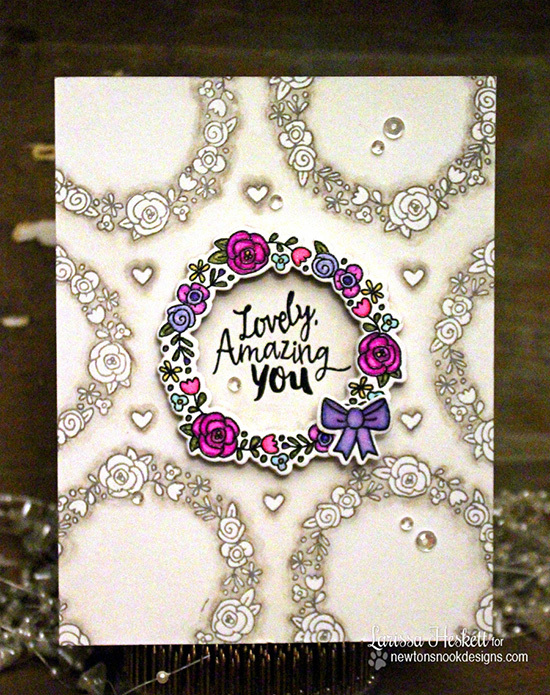 Samantha created this amazing clean and simple card using the new floral wreath image. I love the way she embossed it in white and loosely watercolored over it. And that tiny heart in the corner is such a cute finishing detail! Jess created this adorable little square card! 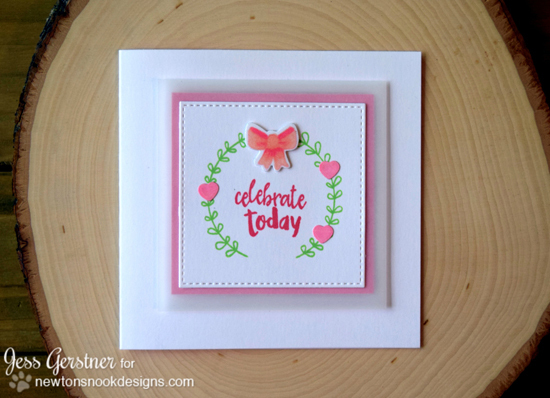 I love how she did "no-line" coloring on that cute little bow and used the heart die cut to add tiny hearts onto the card too! Here's a fun shaker card by Yukari! I love how she added all the layers and fun sequins and added on the sentiment with vellum! Super cute! 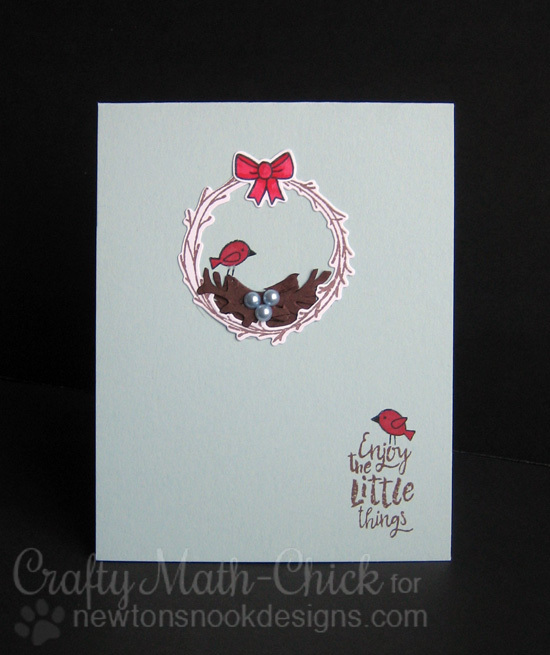 Crafty Math-Chick created a cute little bird's nest inside the wreath! She used some little birdies from our Tweet Talk stamp set and some "pearl" eggs. So adorable! 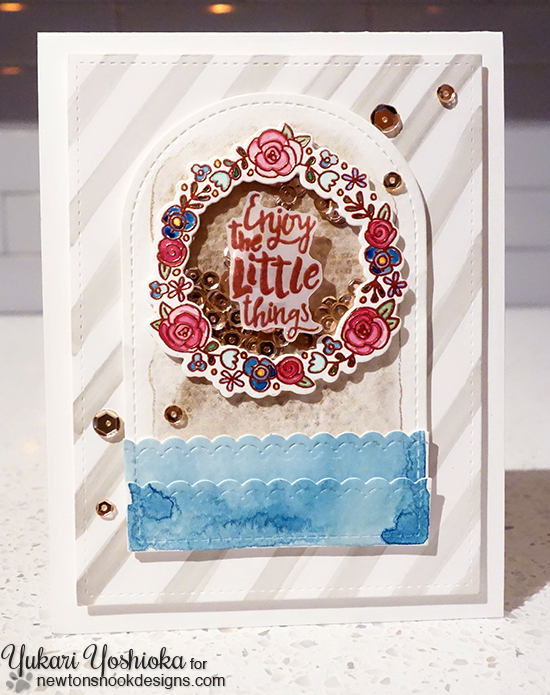 This gorgeous wreath card is by Larissa! I love the way she did monochromatic wreaths in the background with the bright pops of color on the center one! Beautiful! Would you like to win the “Happy Little Thoughts” Stamp Set? Comment on the NND blog and Design Team blogs (see list below)! The winner will be chosen at random from the collective blog release posts. Make sure to check out each of their blogs and comment for your chance to win. You will not know which blog has been chosen so the more you comment on the better your chances are of winning! You have until Thursday, May 19th at 9pm CST to comment -- winners will be announced on the blog post on Friday, May 20th. What a gorgeous array of wreaths you've designed, Jen! Oh, the possibilities! I find wreaths challenging (can't decide on 'pretty' floral/image placement) so this set has special appeal. You've taken out the 'guess work'! Fantastic! Such a beautiful set. Love the cards! This new set is gorgeous! Love all the amazing inspiration! Sweet sentiments and great extras with the wreath and flower designs! Awesome set! What a terrific new set! I love that the dies can cut out the wreaths for a window/shaker or popping them up! Fabulous projects, one and all!! What a fabulous release ! And the cards are gorgeous. Beautiful stamps and dies! I am so attracted to wreath designs, so this is right up my alley! Love these, and all the possibilities to put different combinations together! Very pretty wreaths and sentiments. What a beautiful set! I love it's versatility. Fantastic cards from everyone and so nice to meet you all. Beautiful set. Lots of inspiration. This is a beautiful set. I love how versatile it is. Such a perfect wreath stamp set! Added to wish list! This stamp set is so sweet. It has to be one of my favorites from all of your designs! This is a super sweet and fun stamp set!! Love the wreaths and ALL of the Design Team samples are flat out AWESOME!!! Oh wowza! I am so needing a set like this! It has all the wreath-like images I've been seeing out there, but all in one set! Another amazing set!! Very pretty set. Love the variety of wreaths. I just adore the sketch look of this set! I love this wreath set! It's such a sweet look. Love how versatile this set is. These happy little thoughts are bright and cheerful! Just gorgeous! Love this set and it's coordinating dies! Thanks for sharing. This is a beautiful stamp set! Wow!!!! I love this new release!!!! Absolutely stunning projects! What a pretty set. I love all the delicate florals in it. Beautiful projects. This is a nice elegant set for many occasions. This set makes such pretty wreaths. Love it and all the samples. Thanks. Inky Paws Challenge #32 - Use an Arrow! SNEAK PEEKS for our MAY Release! !